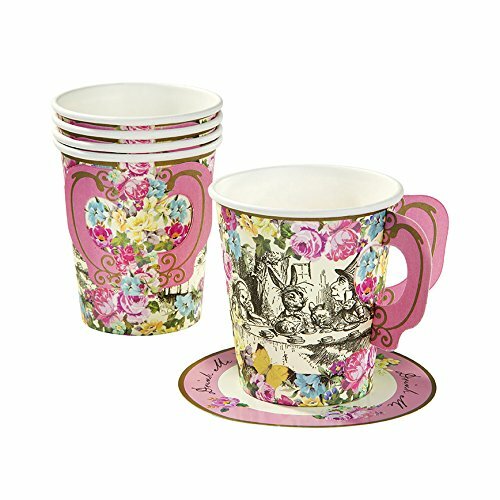 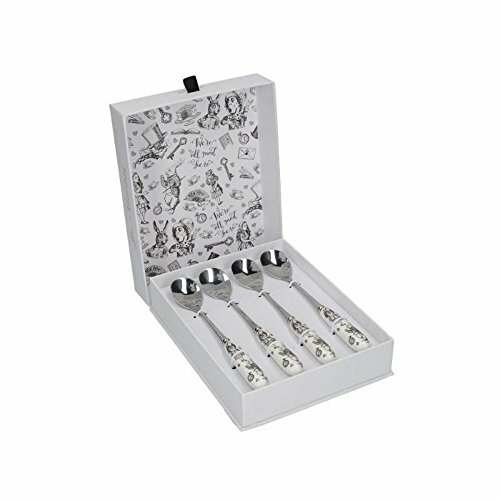 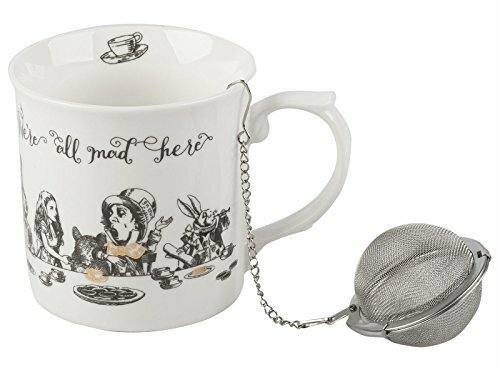 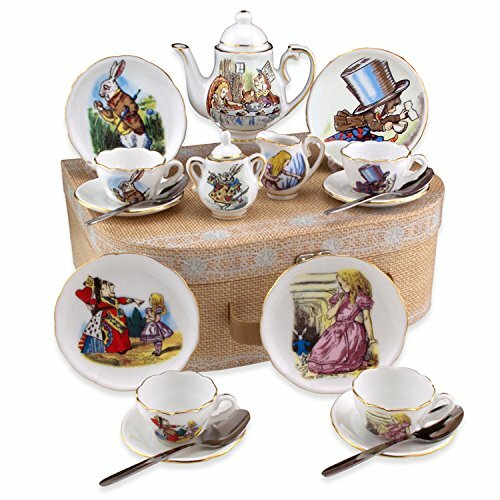 Lovely miniature Alice in Wonderland Tea Set. 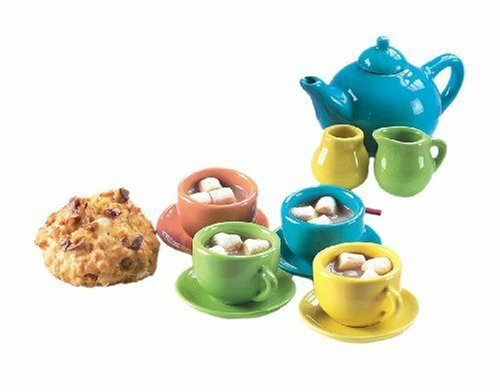 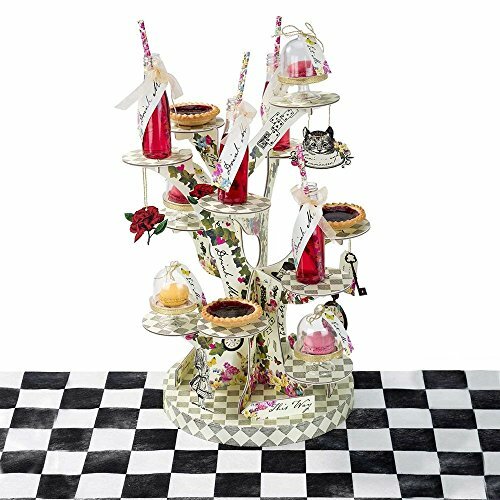 It consists of 11 pieces: a covered teapot, covered sugar, creamer, two teacups and plates, and two dessert plates. 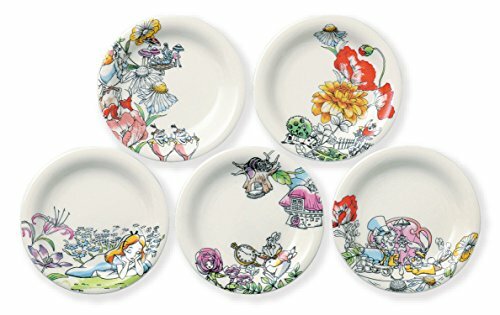 Each of the dessert plates and teapot feature different Alice in Wonderland scenes. 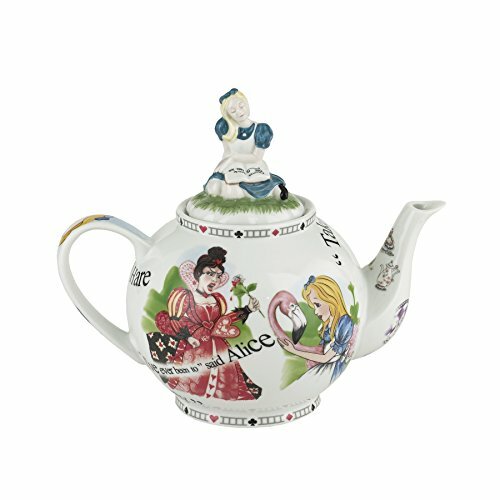 The cups, sugar and creamer have "Alice in Wonderland" written on them.